It’s entirely possible you’ve already seen this romantic supernatural series tinged with mystery and suspense. A Discovery of Witches Season 1 Episode 1 first aired internationally. For the United States, I saw the premiere at NYCC this past October before it first appeared on Sundance Now and Shudder. Finally, those of you who aren’t nimble enough to find all of the good stuff on streaming services outside Netflix and Hulu can feast your eyes on the fiery relationship between a witch and vampire. If you’ve read the books in the All Souls Trilogy, including A Discovery of Witches, Shadow of Night, and The Book of Life, then you’re probably already familiar with this story, and you most likely have already watched it once or twice. Author Deborah Harkness managed to write a romantic storyline between a witch and a vampire that didn’t feel like all of the other similar material out there. Or perhaps she just wrote it better so that it became the sensation that it is. The casting for her beloved characters did justice to the supernatural love story at the crux of A Discovery of Witches. Teresa Palmer is Dr. Diana Bishop, and she’s already well-known for her ability to tame even the most craven creatures due to her starring role in the movie Warm Bodies. Related: Orphan Black Spinoff in the Works at AMC! Her work with the supernatural was again called into play with the hit horror movie Lights Out. Palmer knows her way around both supernatural entities and an unconventional love story. 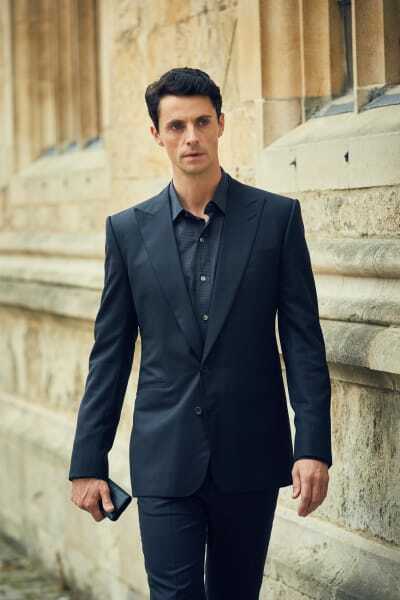 She’s joined by Matthew Goode who has made it a habit to enter into complicated romantic dalliances. We first discovered Goode as Mary’s love interest and husband on Downton Abbey. He later had electricity with Juliana Margulies on The Good Wife, with the triple threat going to his role as Toby Armstrong-Jones wooing Princess Margaret on The Crown. With each subsequent role, Goode’s take on the characters got a little more unconventional and a helluva lot sexier. 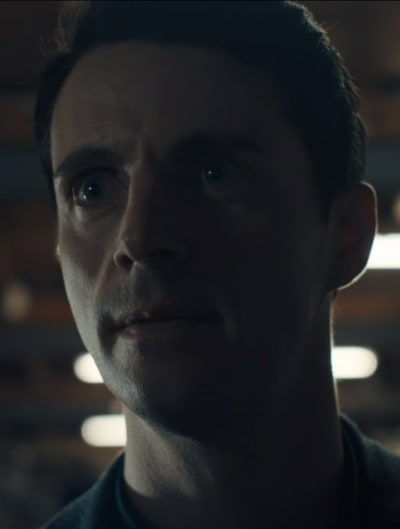 By the time he pulls up with Matthew Clairmont on A Discovery of Witches, he’s easily seen as the Avante Garde lover for similarly unique, powerful women. And though we’ve seen romances between vampires and witches many times over the years, there is something that clicks between Palmer and Goode from the get-go. Where Matthew is as involved as any vampire could be in their existence and history, Diana knows very little about her heritage as a witch and what it means to her daily life. Her magic is uncontrolled but powerful. She would prefer to remain outside of those powers, but they aid her when necessary whether she likes it or not. It’s possible that the way she treats her magic without using it at all let alone with purpose is what drew the ASHML 782 to her. She wanted the book for the purely virtuous purpose of research and knowledge after centuries of feeling hunted. Sure, it sounds odd, but in the magical realm, is there anything that cannot happen? Diana not only had no idea what occurred with the manuscript, but she felt no pressure to dig into it further, ultimately setting the book free again, something nobody else to whom the book would reveal itself would have done. But it’s such a magnificent occurrence that creatures all over Oxford were alerted to its existence. That’s when it’s revealed that humans and other creatures alike might dread the vampires of A Discovery of Witches, but the vamps are not at all what we’d expect. Something is gravely wrong with the vampires, and there’s a distinct possibility their race could die out forever. That’s not something that I expected when Marcus tried valiantly to save his friend James (even without the proper approval from James to turn him). You know I didn’t intend to sire James. If there would have been more time, I would have asked his permission. If I knew there was a risk of failure, I never would have attempted it. Matthew, his last moments were ugly, confused, and desperate, and he didn’t know why. I did that. He was my friend, and I took his death away from him for nothing. There is a lot to be said about vampires who feel so keenly about those they would sire and the consequences of unintended actions. After years watching the vamps of The Vampire Diaries universes go on blood-soaked rampages against innocents with nary a reservation, it’s nice to find a group who might hesitate before unleashing the carnage. The witches might not be as magnanimous, at least up front. A quick introduction to Diana’s family shows they’re concerned she uses her magic so infrequently while a look at the other witches across the board has their species leaning in the direction of hoping to wipe out Vampires. Their backgrounds set up Diana and Matthew nicely for a Romeo and Juliet style romance. They’re attracted to one another almost immediately in spite of the sea of differences between them. Even though Matthew might believe Diana to be holding what could be the key to his species very existence, he can’t help but be captivated by her innocence about her kind, either. Matthew: Is it ASHML 782? I’m assuming you used more than magic to retrieve it. Diana: Why do you care? Alchemy’s not your area. Matthew: This is about a great deal more than just alchemy. Where’s the manuscript now? Diana: The same place it always it. You can take books out of the Bodleian. Excuse me. Matthew: Dr. Bishop, please hear me out. No one has seen that book in a long time, and it’s not just me who wants it. Word is spreading. It might be safer for you if the creatures of Oxford knew it was no longer in your possession. Matthew: No. It’s a warning. You need to be careful. Permalink: No. It’s a warning. You need to be careful. Matthew’s eyes lower and sparkle when he engages with Diana, while her eyes widen and twinkle. Palmer and Goode have a keen awareness of what their characters are feeling, and you can tell they’re enjoying the process of waking the passion between them. It’s never better than when actors become their characters, and this is as much a case of character embodiment as I’ve seen. Their relationship grows before either of them are even aware of its existence. As Matthew stalks Diana with the hope she might reveal a secret regarding ASHML 782, he can’t help but get delighted at the things she does during a day, from getting coffee to rowing. And with each passing breath, Diana, too, knows Matthew is lurking around every corner. You can almost feel the magnetism on her skin when she senses Matthew, just as you can feel Matthew’s excitement at piquing her interest. He’s as much protecting her as he is studying her, reveling in the mystery that allowed her to retrieve a book of such importance without being affected by its relevance. The vampires have been trying to find the book to save their futures as long as the witches have been trying to do the same but with much different intent. Miriam: Come on, Matthew. It’s not possible. Matthew: What? That she’s found ASHML 782? Why? Miriam: Because you’ve been looking for that book for over a hundred years. Matthew: Longer. Ever since I began to believe that it could help us understand our origins. Miriam: It’s missing. It’s always been missing. How could this “witch” have found it? Matthew: Perhaps it wasn’t missing. Perhaps it was waiting. Permalink: Perhaps it wasn’t missing. Perhaps it was waiting. If Matthew has begun to believe the book was waiting to appear to someone most ready to receive its knowledge, can you imagine the thoughts dancing in his head when it comes to Diana? He only begins to share what it means to him when he reveals himself to her at the docks after she finished rowing. 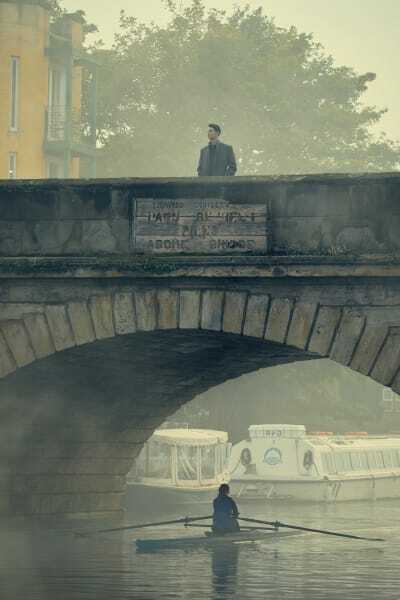 Matthew: Do you actually think it’s safe down here in the dark, Doctor Bishop? Diana: Are you stalking me? Matthew: I’m merely pointing out that rowing on your own is a risk. So, the Book of Life. What did you do with it? Diana: I don’t know what that is. Matthew: A witch of your powers. How could you not know? Diana: Just because you saw me in the library, that was unusual for me. I don’t use magic. Matthew: Don’t lie to me, Diana. I can feel your power. Permalink: Don’t lie to me, Diana. I can feel your power. But Diana is still woefully ignorant of her capabilities, so much so that when Matthew makes that pronouncement about her powers, you can see the surprise in her eyes. At heart, she knows that someone like Matthew Clairmont would not be making such statements if he didn’t believe them to be true. ASHML 782 has been missing for centuries and yet you were able to call it up. Aren’t you curious as to why? That book has never appeared to me or anyone else no matter what we’ve done. Only to you. It could be the key to our survival, so isn’t it strange that the only creature who can summon it is a witch who can’t control her magic? It’s entirely possible she’s been hiding magic more significant than anyone knew. With that thought still rustling around in her mind, Matthew spots her discarded jacket laying outside on the dock. When I first watched the show, I thought he might be saving her from his murderous intent. Why would she have to walk past him? What did he smell on her jacket? Related: Get Sundance Now via Prime Video Channels for Proof that Entertainment doesn’t have to be Mindless. It only dawned on me that it might be carnal desire instead of sucking the blood right out of her neck when she turned around, once again wide-eyed but then with somewhat of a knowing smile. Diana is as interested in Matthew as he is in her, and that’s the first time she shows anything more than cursory interest or annoyance at his curious behavior. To find out how quickly their interest will grow is for another episode, I’m afraid. As Matthew was ruminating at the beginning of the premiere, at one time creatures were living in plain sight and without fear of their kinds getting wiped from existence. Maybe a union between a witch and a vampire would mean a new start for all creatures, humans included. Will they be able to do it without the witches Owen and Satu hunting them down for what Diana might know even if she doesn’t know what she knows as yet? The good news is we’ll get treated to the provocative love between Diana and Matthew as the story gets divulged. For some people, it’s Jamie and Claire on Outlander. For me, it’s Diana and Matthew. If you’re ready to find out why, tune in again, and join me weekly for thoughts as the story unfolds. If this is your first time through, did you stick around after Killing Eve? Or maybe you tuned in mainly to see Harkness’ books come alive. Hit the comments and share your thoughts on all things Bishop and Clairmont!